For sure in any business presentation, you have to grab your audience by their ears to get them listening. You need content that sounds interesting to them. The way you deliver needs to sound interesting, too. However, you can go much further if you use a few extra smart presentation skills. 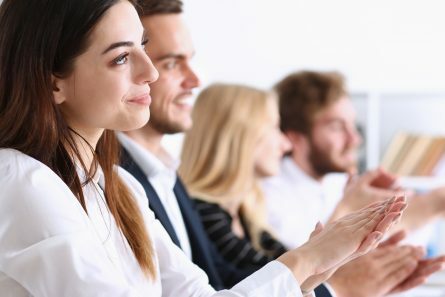 You can also grab them by their hearts and minds with these simple presentation techniques. The most effective technique is to talk about what you are passionate about and do it passionately. When you give a presentation – or speech – and your emotions are there for others to see and hear, it creates emotional contagion. Your audience will begin to ‘feel’ the same way that you do. It happens because our brains contain ‘mirror neurons’ that allow us to empathise with and mirror how other people are feeling. If they are excited, we become excited. If they are nervous, we become nervous. This is heart gabbing stuff! The presentation skill that grabs people by their minds can be as simple as using a structure that leads to a persuasive call to action. 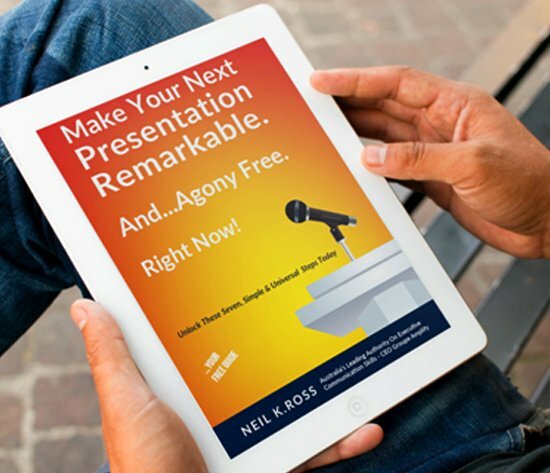 Whatever you do, resist the urge to create your presentation as it forms in your head. That could well mean that it’s all over the place! You need to work to a structure because that’s how you can take the audience on a journey with you. You have to make ‘the complex simple and the simple compelling.’ Doing this requires more than just having a beginning, middle and end because, although it’s better than nothing, it doesn’t make stuff interesting. ‘The So What’ element requires you to identify what’s both relevant and meaningful to the audience about the point you raised. If you can’t identify what that is, it’s not worth mentioning. It’s a great way to filter out content that, if included, would result in information overload! ‘The What Now’ element adds more power to your argument because you’re making it clear what needs to happen moving forward. Think about what you want the audience to think/ believe, feel and do. The great beauty of this simple structure is that you can quickly put together a disciplined presentation with little notice. Especially so when you break from the pack and drastically limit your reliance on PowerPoint.